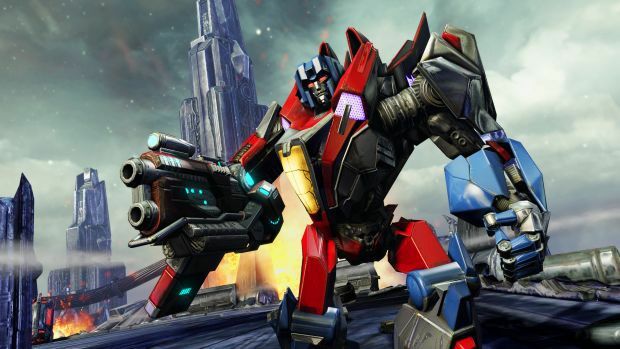 Transformers: War for Cybertron was one of my top multiplayer games of 2010. Something about it just worked surprisingly well, and High Moon Studios deserved oodles of kudos for providing the Transformers license with an original, structurally sound, vastly entertaining game that respected the franchise in a way other games (and certain movies) had not. When faced with a sequel, High Moon has taken the "if it's not broken, don't fix it" approach and essentially pulled the same trick twice. In fact, it's hard to say exactly what the differences are between Fall of Cybertron and War for Cybertron at a glance. It only gets marginally easier with an extended look. Following the events of War for Cybertron, the Transformers' titular planet is on the brink of collapse. The battle between the Autobots and Decepticons has drained Cybertron of its energon resources, and the Autobots decide to impose self-exile and find a new world on which to start over. Naturally, Megatron won't have any of that, and will go out of his way to keep Optimus Prime grounded, out of little more than petty spite. While events certainly occur, there's very little story in Fall of Cybertron. Despite retelling the story of the Transformers before they came to Earth and heavily revising the origins of Grimlock and the Dinobots, the narrative campaign feels somewhat rushed, as important exposition is gotten over quickly. Each focal character gets one or maybe two chapters in order to say what they have to say. Unlike War for Cybertron, which had some nice build and was paced very well, the plot of Fall flits too easily between Autobot and Decepticon characters, never focusing on a single plot point long enough for it to have any gravitas. There are definitely some great moments on par with the original game. The Starscream coronation scene is a definite highlight (yes, the infamous dialog exchange takes place!) and the level involving Grimlock and his classic T-Rex transformation is a delightfully empowering jaunt. I also love that High Moon included a genuinely creepy take on the my personal favorites, the Insecticons, though the purist in me still sneers at High Moon giving Shrapnel's speech impediment to Kickback -- a criticism that should have no relevance to any sane human with real priorities. Still, the campaign is left wanting in comparison to the first. The gameplay is still solid, with the same great controls for both robot and vehicular forms, and I love the new upgrade system, in which players can purchase and enhance a variety of weapons and perks from Teletraan 1 outlets -- you can even rate each upgrade online to help new players find the best stuff. However, the newer, more open environments aren't so much liberating as they are repetitive, arena-like areas that lack any sense of atmosphere. The weapons also seem to feel far less effective, especially when going up against masses of shotgun-toting enemies that can reduce player characters to scrap in seconds. Combat was always going to be clunky by the very nature of the robots involved, but this time around it feels unfocused, possessed of a certain anarchy that is more overwhelming than enjoyably chaotic. The game's final level is truly the highlight of the show, switching from Autobot to Decepticon in a fluid way as players jump from bot to bot in an epic battle aboard Prime's Ark. The elegance and scale of this battle is a thing of beauty, and something I wish there could have been more of. When High Moon pulls out all the stops, it still manages to create something awesome. Sadly, it does it with less frequency in Fall as it did in War, and the result is a single-player mode that feels rather unsatisfying. Still good, and still tossing out enough references and jokes to make the average Transformers fan smile, but nevertheless a little disappointing. Multiplayer is still the game's biggest selling point, and it's as great as ever -- mostly because it's almost exactly the same as last time. Yet again, players get to choose between four distinct classes -- the hard-hitting Titan, healing Scientist, tactical Destroyer and stealthy Scout. Aside from some weapon changes and ability tweaks, these classes play pretty much as they did the last time, each one respectively turning into a tank, plane, truck and car, while fulfilling their archetypal battlefield roles. There are a number of competitive modes to choose, from simple deathmatches and capture-the-flag bouts to the one fresh addition, headhunter. In headhunter, players need to kill and collect the fallen "sparks" of their enemies, and bring them to an ever-changing location in order to score points. It's more or less a dog-tag mode with a Cybertronian twist. Unlike single-player, the busy combat and disorderly flow of each match are positive traits. If you can get a full match together, each round is a tumultuous clash of metal and explosions. Each class is really well balanced, with a skilled scout able to take down a hulking tank if used correctly, and the new maps are just the right size to take advantage of vehicular motion without being so big that it's a dull slog to the next kill zone. Of course, if you played the first game, you'd know this already, because the exact same praise for the multiplayer in War for Cybertron applies here -- whether that's good or bad hinges on how much you want to enjoy the same great taste twice. Character creation is expanded, with a lot of armor pieces to mix and match, and a greater range of color schemes, as well as a variety of custom loadouts and gear that can be gradually unlocked as players earn XP and rank up. Despite the enhanced variety, it still feels very restricted, with pre-set two-tone color schemes and armor pieces based largely on named characters from the single-player campaign. Still, it is an improvement, and one of the few genuine attempts to evolve Fall beyond the first game. I guess that's something. 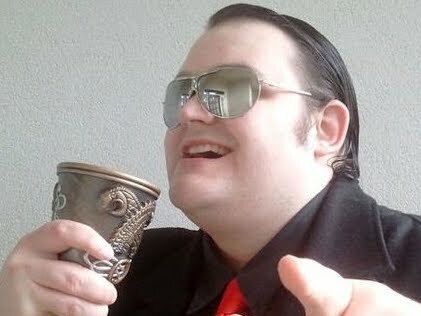 Yet again, the jewel in Cybertron's crown is Escalation. This is a co-op survival mode for up to four players that again doesn't do much different from last time. 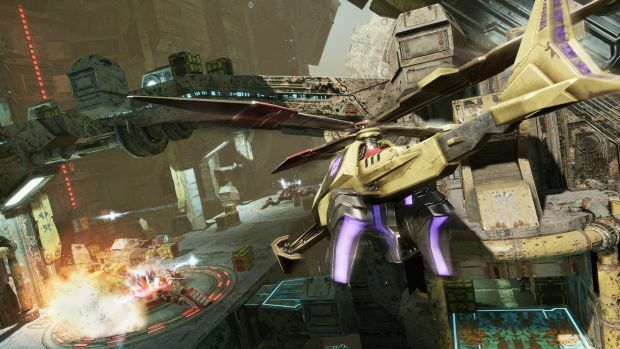 The player team is faced with waves of increasingly brutal enemy robots, and can earn cash to spend on upgrades, as well as unlockable doors that expand the arena and grant access to more powerful gear. This remains the most fun aspect of the game, but it feels a little downgraded from last time. First of all, there's less of a recognizable variety of enemies, due to the fact that even when varied, a lot of the opponents behave and look the same. What's more, the range of playable characters has been restricted in order to enforce a more class-oriented approach to team-building. This time around, players have to pick one of four pre-set characters rather than the wider range seen last time. Each one possesses certain skills -- such as healing or ammo replenishment -- in order to encourage more strategy. It's a noble idea that does indeed add a slight tactical bent to the onslaught, but it's come at the cost of personal choice and the previously endearing ability to grab your favorite character. 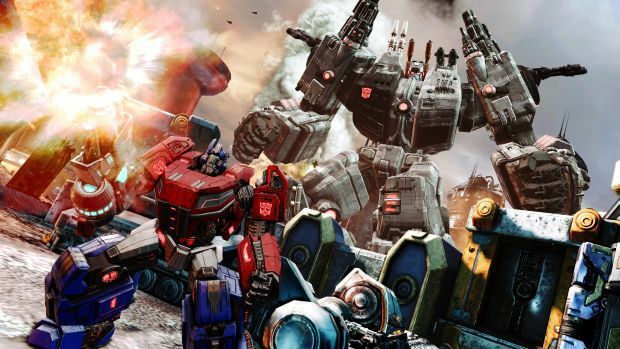 Transformers: Fall of Cybertron has a lot of what made the original game so great, but it suffers from generation loss, relinquishing a portion of its quality in the cloning process. The decision to give players more of the same is made less palatable by the fact that its story is nowhere near as engaging and the multiplayer has not expanded in any way -- and even been scaled back in the case of Escalation. If you choose to play it, you will certainly have a lot of fun. However, you will miss practically nothing by choosing to skip this installment. That's not to say you shouldn't get it -- just don't expect a must-see revelation. 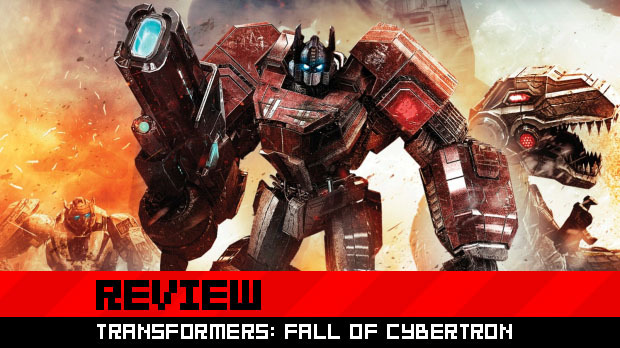 As such, Fall of Cybertron is a step down from High Moon's encouraging start -- not bad at all and more than capable of providing entertainment, but unable to reach the heights of that which came before.